With its rich cultural heritage, stunning natural beauty and variety of local delicacies, Thailand is a popular vacation paradise. The country is often called the “Land of Smiles” for its friendly, happy people, but as most drivers in Thailand would know, navigating the country’s roads may not always be a smooth experience. Outside Bangkok, potholes can create challenges on roads in smaller cities, especially in rural parts and along the inter-city highways. Drivers should take caution as driving on uneven roads can hasten the wear and tear of components such as tires, shock absorbers, steering and suspension systems. 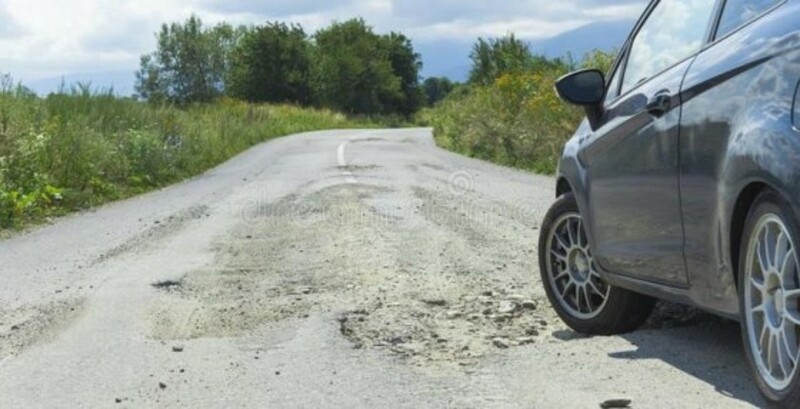 Driving over potholes can also cause problems such as misalignment, where a car may constantly pull itself to the side while driving. Another problem that could result is a broken ball joint, which can cause steering to wander to either the left or right. This creates strain on the car, compromising the ride and comfort for driver and passengers. Damaged or worn shock absorbers can also affect the driver’s control of the vehicle and reduce braking efficiency, posing potential dangers. While roads in urban areas are generally in better condition than the outskirts, drivers face a different set of challenges there. According to the Global Traffic Scorecard survey conducted by US-based transportation analytics firm Inrix, drivers in Thailand have it worst with road congestion, spending an average of 61 hours stuck in peak congestion in 2016. Encounters with severe road congestion and heavy traffic jams are common for urban drivers making their commute through the city. This, coupled with narrow streets with sharp corners that are typical of urban roads, often forces drivers to make frequent starts and stops, which wears out brakes more quickly. To ensure their safety, drivers should have their brakes changed every six months. 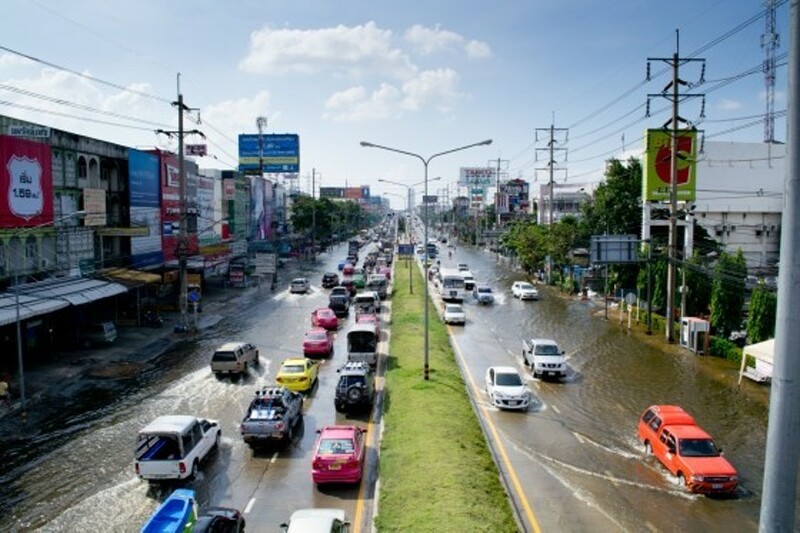 The climate in Thailand is defined by tropical monsoons that cause heavy rainfall in the country especially around the second half of the year, occasionally overwhelming the country’s road drainage systems and causing heavy flooding. During a flood, water levels on the roads may reach 20 to 30 centimetres, sometimes even up to half a metre high. While drivers who frequently run their cars through high water levels may think it harmless, what they do not realise is that this can dry up the layer of grease that coats, lubricates and protects the steering and suspension joints. This can cause significant damage to these components in the long run if not rectified. Drivers in Thailand are accustomed to the road and weather conditions here – often rushing and weaving in and out of traffic every day, driving over potholes and through floodwater – and may not be aware of the damage to their vehicles. Avoid a cold start: Warm up your engine for at least one minute before bringing your car out for a drive. While waiting for your car to warm up, take the time to walk around the vehicle. Check for oil leakages or unfamiliar noises from the shock absorbers – these are tell-tale signs that your car is due for a check-up. Shock absorbers should be changed every 20,000km. Drivers in Thailand experience frequent start-stop driving. Take note of the lag time during braking, from the moment you apply the brakes until the car comes to standstill. If it takes an unusually long time, it may mean your brakes require urgent repairs. If you drive through floodwater that are at least 10 centimetres high, schedule a maintenance check-up. Water may have seeped into the steering and suspension joints, causing damage. Dry ball joints have increased friction and may cause steering difficulties. As a global automotive supplier with more than 100 years of innovation in motion and mobility, ZF offers a complete portfolio of products and services to meet the needs of our customers. Contact us for more information today – because a great journey starts with ZF.